Before you hire a heating or air conditioning contractor, you need to know how they are going to do the work. Even if you don’t know anything about HVAC, you should be able to get a good idea of their work ethos with these questions. 1. How are you going to size my HVAC equipment? Getting the right-sized equipment for your house and your needs is very important for efficiency and energy use. Why get a bigger and more expensive size HVAC equipment, when a smaller and less expensive one will do? When it comes to an HVAC equipment, bigger is not better. If it is bigger, it will turn on and off frequently. This will significantly lower the life of the equipment. One of ways to do the sizing of a furnace or air conditioner is by Manual J which is the protocol that is used to determine how much heating/cooling a home needs to stay cool and dry in the summer and warm in the winter. 2. How do you keep up-to-date on the current regulations? The Department of Energy creates and revises its energy efficiency standards and other regulations. It is important for the HVAC contractor to stay on top of these regulations so your equipment and the installation meet those regulations. In extreme cases, it may be harder to sell your home unless the installations are up to code and it could run you thousands of dollars to bring a bad installation to code. 3. Who is going to do the work? If the contractor is going to do the work, then he is going to do the best work he can. If he is going to hire other people to do the work, then the quality of the work will depend on the expertise of those workers. 4. If you are going to hire others to do the work, how are they paid? Hourly or by the job? If the hired workers are paid by the job, they will try to finish the job ASAP to get to the next job. This could result in the job being rushed and the quality of the work could suffer. 5. 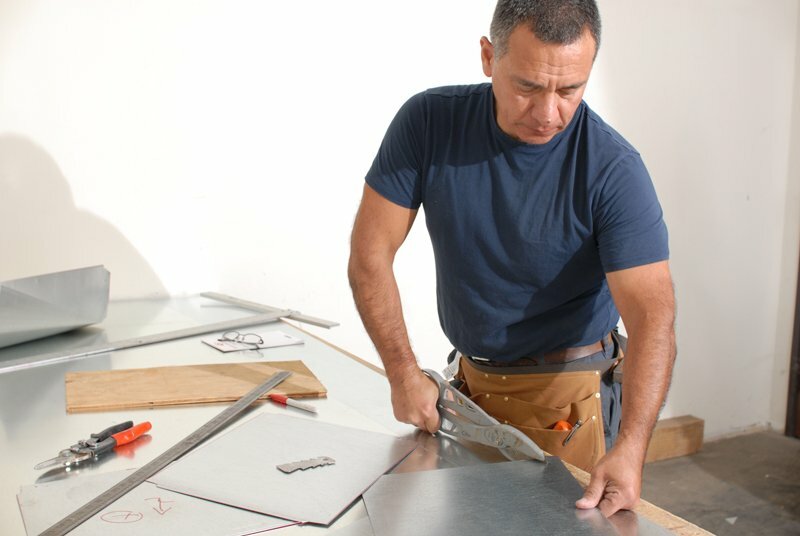 What kinds of materials will you be using for the duct work? Will you be doing any custom fabrication for the furnace? Many contractors use wire flex pipe. The advantage is that they are made of plastic and fairly inexpensive. Unfortunately these pipes are generally not installed correctly. Also, rodents could chew on these pipes! Remember that you have an already existing furnace, then the HVAC contractor should do custom fabrication to ensure proper air flow without any leaks. 6. Are you going to look at the whole house for inefficiencies, determine the size of the equipment needed, installation, etc. or are you just going to sell me the equipment? Does the contractor want to sell you a metal box aka furnace? If your house wasn’t getting heated or cooled properly because of a leaky duct, replacing the equipment isn’t going to solve the problem. So it is important for the contractor to evaluate the system you have in place instead of simply installing new equipment. 7. How are you going to determine that the system is running to its full capacity? Your HVAC contractor should have a process in place where they show you how well the system is working. 8. Are you going to get the permit? Any time you replace your furnace, the state requires you to get a permit. And it is the contractor’s responsibility to get the permit. The contractor is responsible to know the rules. A permit ensures the minimum requirement for the work is met. 9. Will you teach me how to do basic maintenance on the equipment? Whether it is changing the filters or looking for issues, the contractor should give you instructions on how best to take care of your heating or air conditioning installation. 10. Are you and/or your company licensed and insured to work in my state/city? Yes, there are companies and individuals out there who are not licensed to do any heater or air conditioner installations, but routinely do it. This puts you, your home and your family at risk for possible gas leaks, fires or pushing contaminated air into the house. Always ask to see your HVAC contractor’s license and liability and check their validity on your state government website. RC Mechanical is an owner-operated Redwood City business and has provided expert furnace and air conditioning repair and installation to the Bay Area with integrity for over 20 years. Call us today at (650) 575-3915. Homeowners in Redwood City and throughout the Bay Area count on us for all their heating and air conditioning needs.